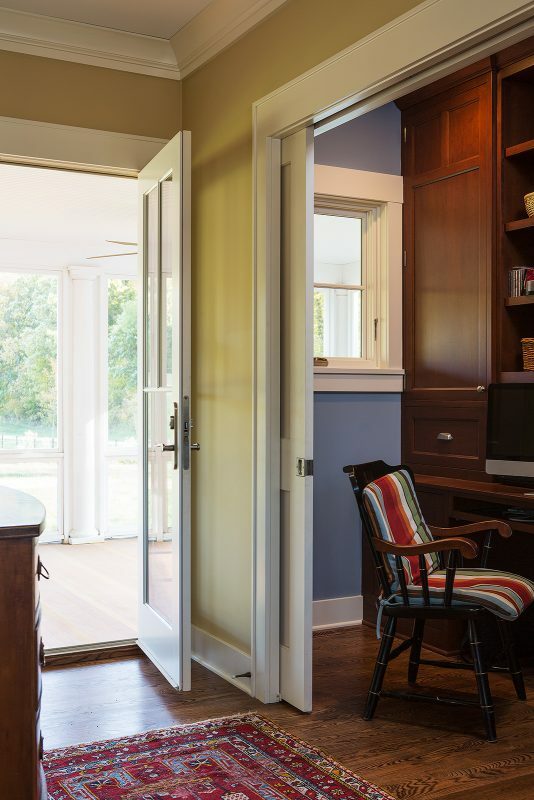 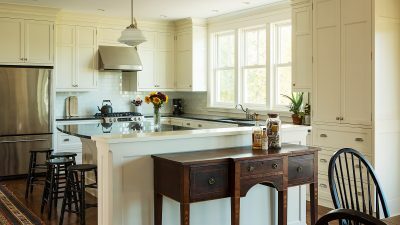 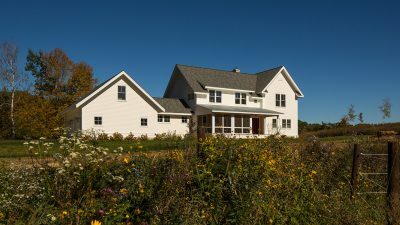 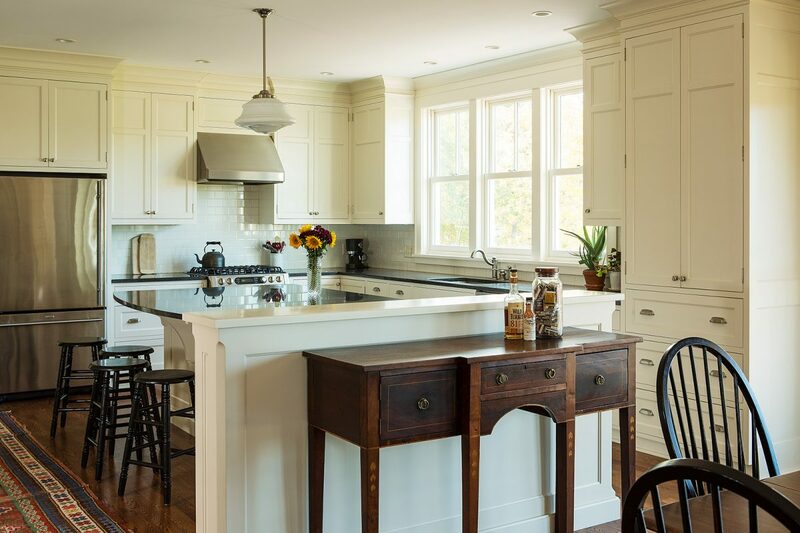 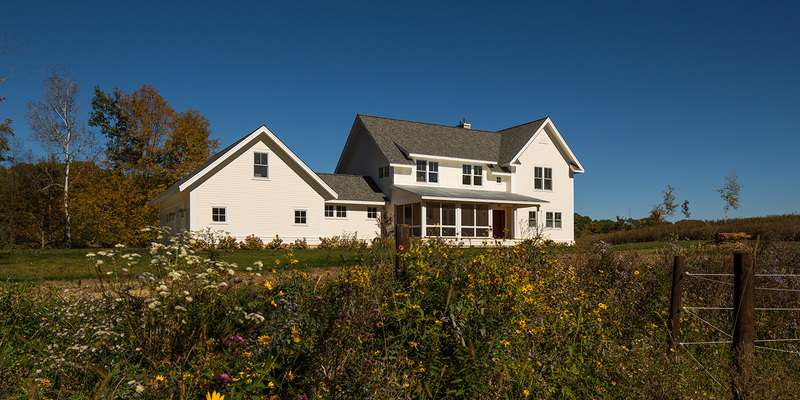 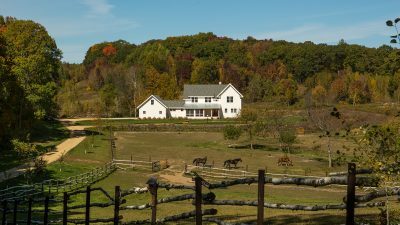 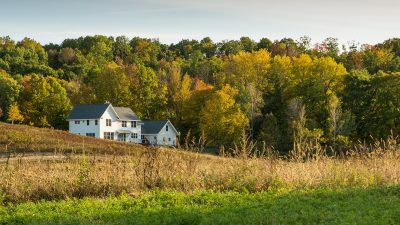 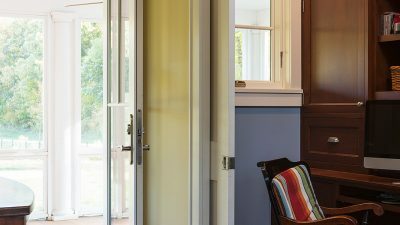 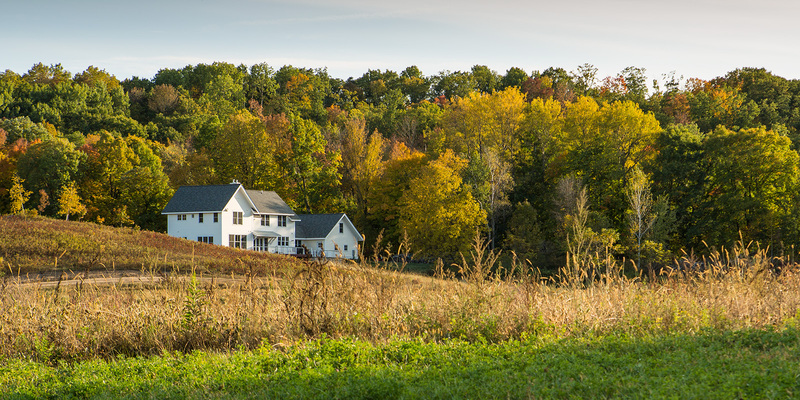 This new farmhouse, situated on idyllic rolling Wisconsin farmland, provided the breathing room and environment this large family wanted as they made a move and lifestyle change from the Twin Cities suburbs to the rural land where dad grew up. 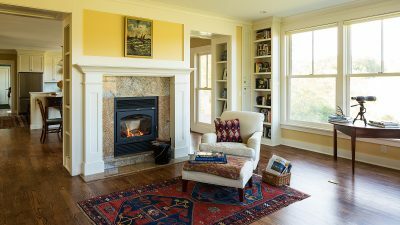 The classic form, open spaces, and view in and around the house help to convey the simpler life that the family desired. 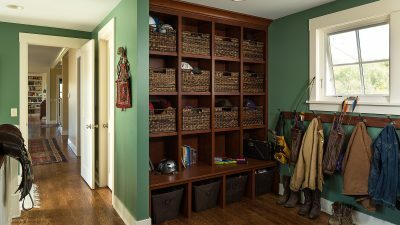 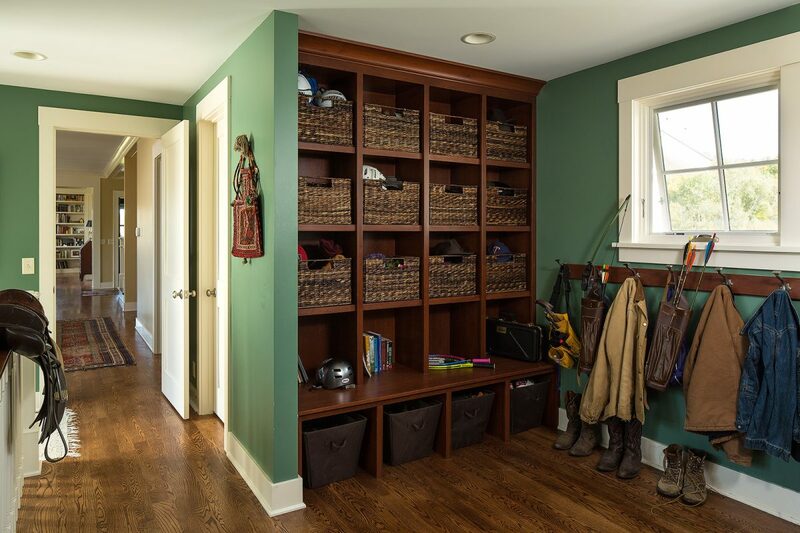 A link from garage to house serves as a great place to kick off muddy boots and horse riding equipment, right along with the book bags and lunch boxes. 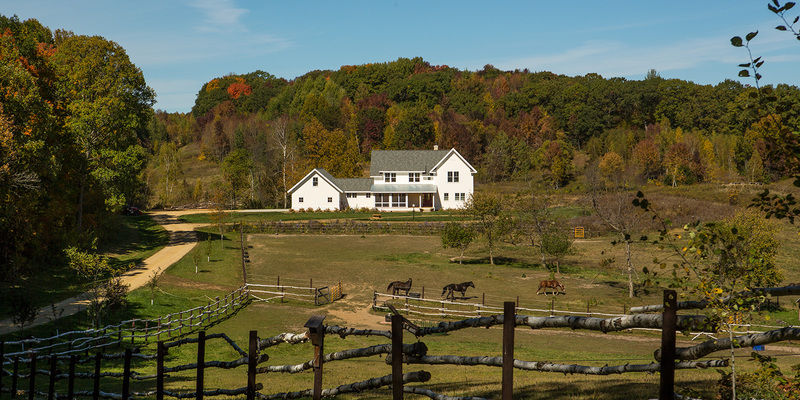 The screened porch near the main entry connects the inside to the horse corral and wildflower acreage. 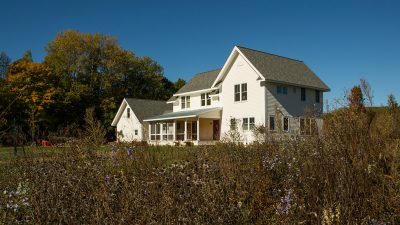 Within the simple roof forms, 5 bedrooms, two baths and a laundry room are masterfully situated on the upper level, all with views of the rolling hills. 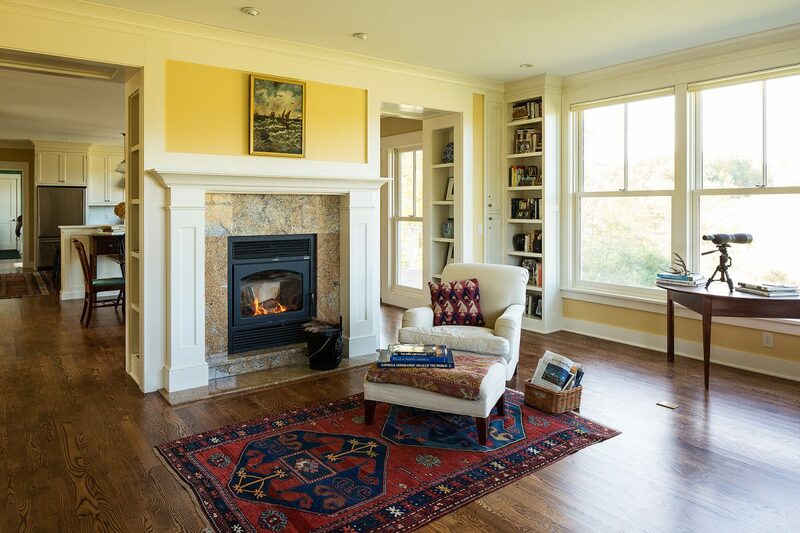 An open connection through the entertaining spaces of the main level provides for the connection of light and people throughout the family home.